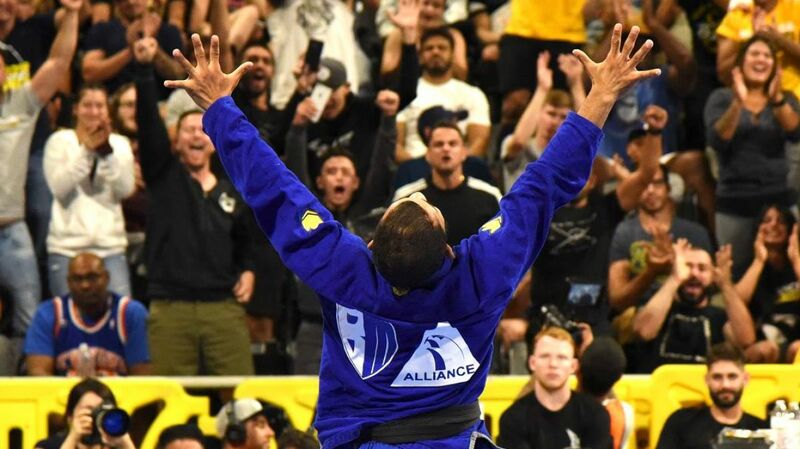 Bruno Malfacine made history by retiring at the IBJJF World Championships after winning a record tenth gold medal. The roosterweight king easily submitted Rodnei Barbosa with an armbar in the final to be crowned 2018 champion, adding another title to his extensive resume. The 31-year-old Brazilian has gradually been making a transition to MMA and is currently 2-0 in the cage. The Alliance team member saw out the 2018 Worlds with a 100% finishing rate, submitting all four of his opponents on the way to gold.